Keratoconus translated means cone-shaped cornea. In this condition, the cornea (clear window-portion of the eye) becomes progressively thinner and weaker and protrudes outwards. 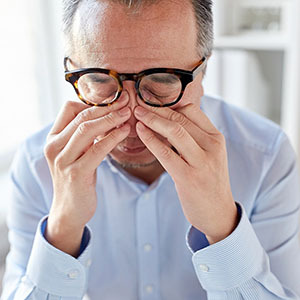 This thinning and weakening of the cornea directly affects the normal focusing abilities of the eye leading to profound blurred vision from short-sightedness and irregular astigmatism. It is a condition that usually affects young adults and both eyes tend to exhibit different stages of the same spectrum. Cornal ectasia translated means corneal thinning. 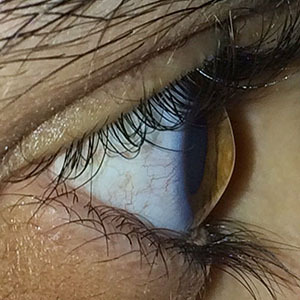 These are a group of conditions that also in include keratoconus as well as post-LASIK surgery ectasia and pellucid marginal degeneration (PMD). The thinning of the cornea that defines keratoconus can be detected by associated signs noted by the ophthalmologist as well as measurements taken by highly specialised diagnostic tests (Corneal topography, Autorefraction and Keratometry). There are various interventions available depending on the stage of disease and level of progression. These modalities include spectacle and soft contact lenses for earlier stages, Contact lenses (Scleral contact lenses), Corneal implants and Corneal transplants for more advanced stages. Corneal collagen cross-linking (CXL or C3R) is a breakthrough effective technique for halting the progression of keratoconus. Corneal collagen crosslinking (CXL or C3R) is a procedure used to strengthen and reinforce the cornea in people with keratoconus. 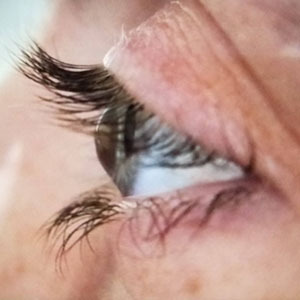 This painless, remarkably effective procedure uses ultraviolet light and riboflavin eye drops (vitamin B2) to crosslink the weak protein fibres within the cornea and imparts rigidity to the entire corneal protein meshwork. This results in halting the progressive thinning of the cornea and even improves vision in up to 50% of patients. Crosslinking is an outpatient procedure. The eye is numbed with anaesthetic eye drops. 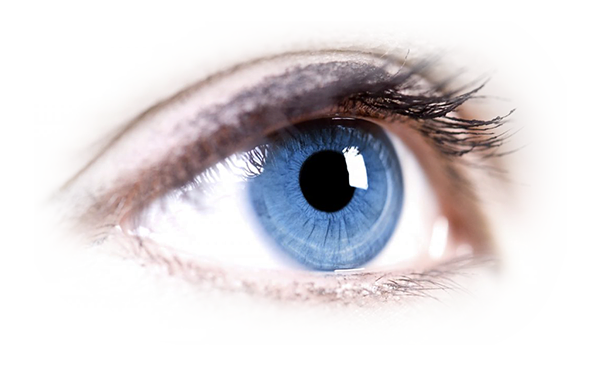 Riboflavin (Vitamin B2) eyedrops are then applied to the eye for 30 minutes after the surface layer of the cornea has been carefully lifted. UV-A light is applied to your cornea for a further 30 minutes. A contact lens is then placed on the eye to expedite the healing process. Complications associated with corneal cross-linking are rare. These may include short-lasting visual haloes, eye discomfort and corneal inflammation. The topical eyedrops prescribed after crosslinking work immensely well at combating any anticipated complications.